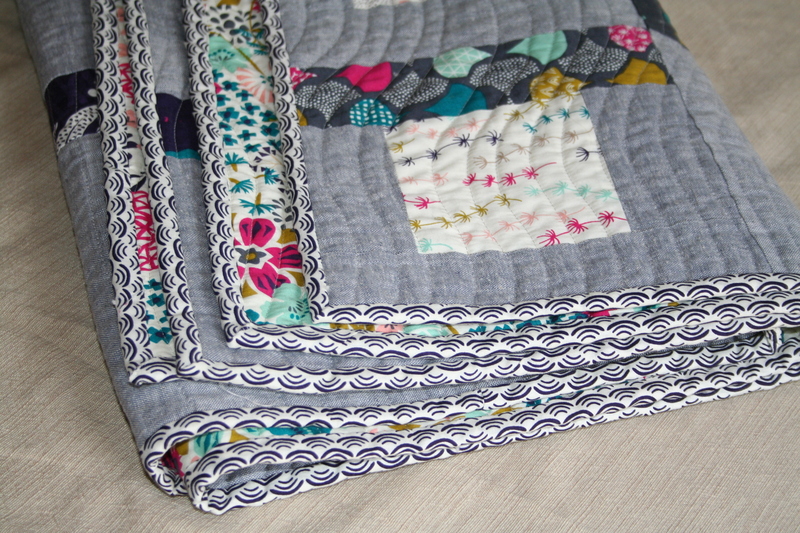 After a few weeks of teasing, here is the latest quilt that I had the pleasure of designing for Cloud9 Fabrics. In addition to the gorgeous photos (and free pattern!) 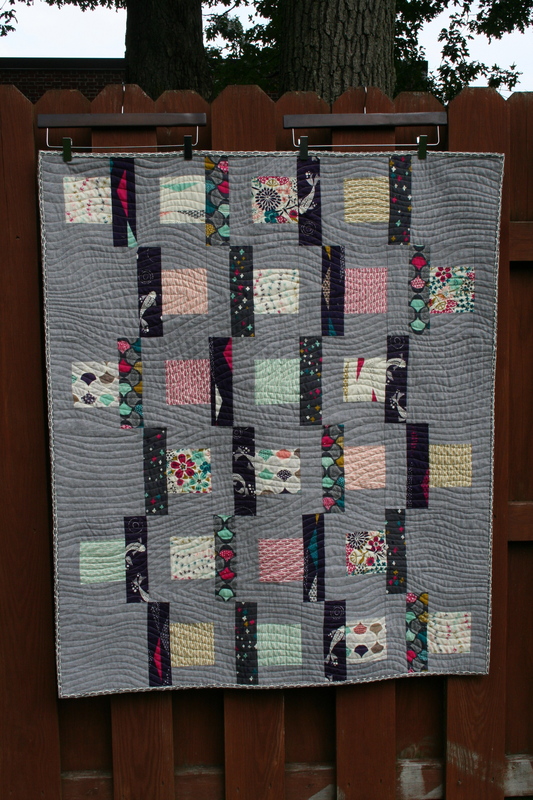 over at Cloud9’s blog, I wanted to show some more of the shots that I got on a beautiful late summer day that really show off the quilting. I got my amazing surprise birthday present, a Janome 6600, about a month ago (that’s one way to surprise a girl, make it a month early), and it made all the difference with this quilt. 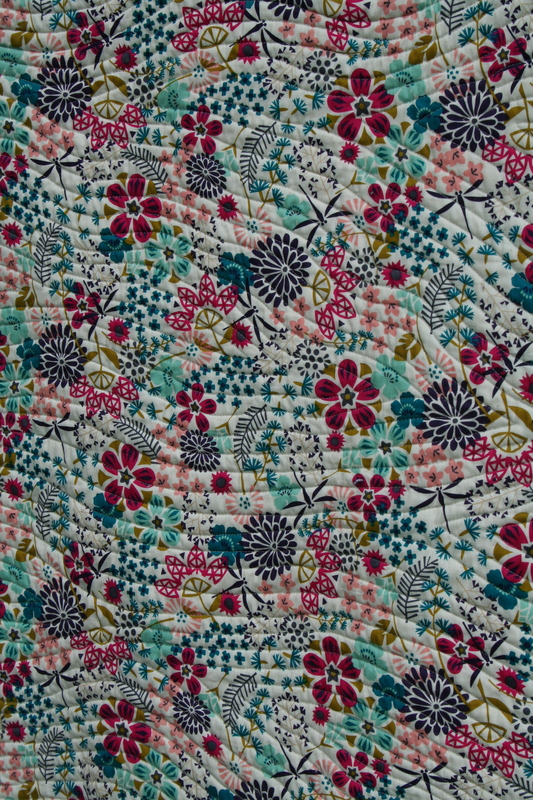 I am loving the Accu-Feed, which made quilting wavy lines on the Essex cotton-linen blend really fun. The back is The Way of Flowers from the Koi collection. I could stare at it forever. 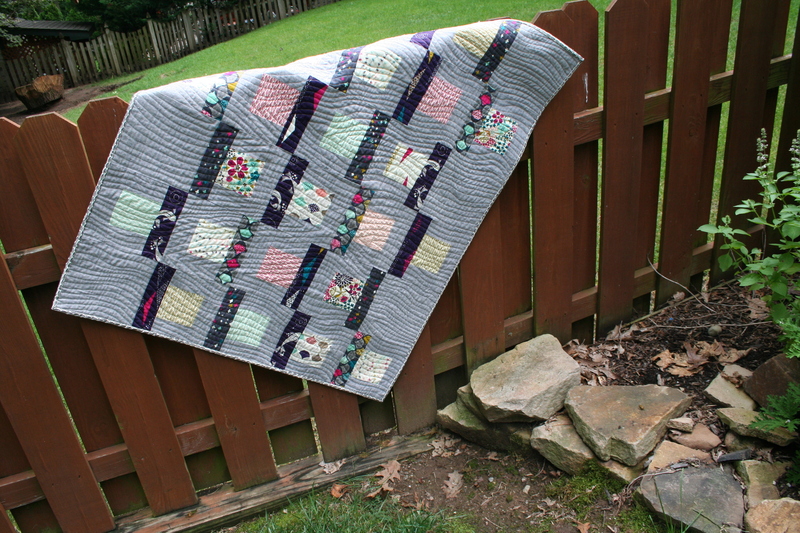 Here’s another “quilt on a fence” shot. I think my neighbors think I’m crazy, taking so many pictures of blankets. Check out the free downloadable pattern and my other quilt patterns and tutorials from the menu above. And thanks as always for visiting. You guys are the sweetest. This is my favorite quilt you have ever made!!!!!!! Love, love, love it! Yay! Thank you! The giveaway is so, so awesome too. 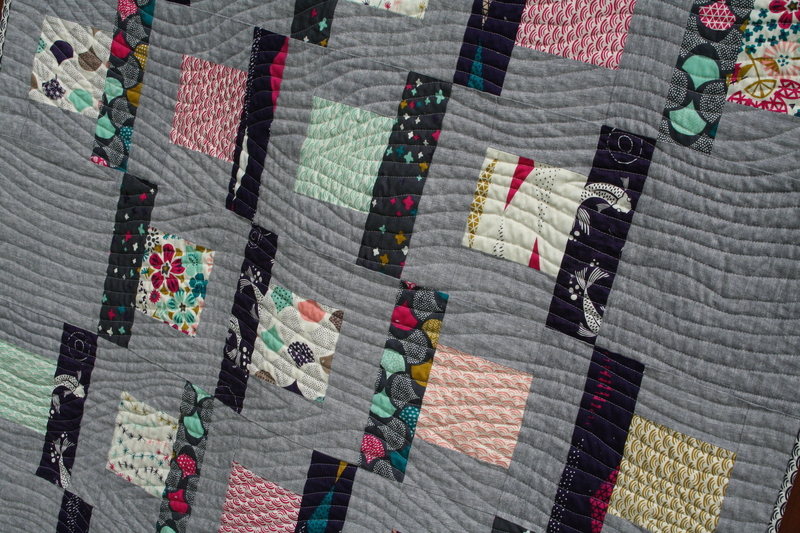 I love this quilt and how you used the fabric. Congrats. Sorry I won’t get to see it in person. Great work with the quilting! You must be pleased with how it turned out. Gorgeous quilt! 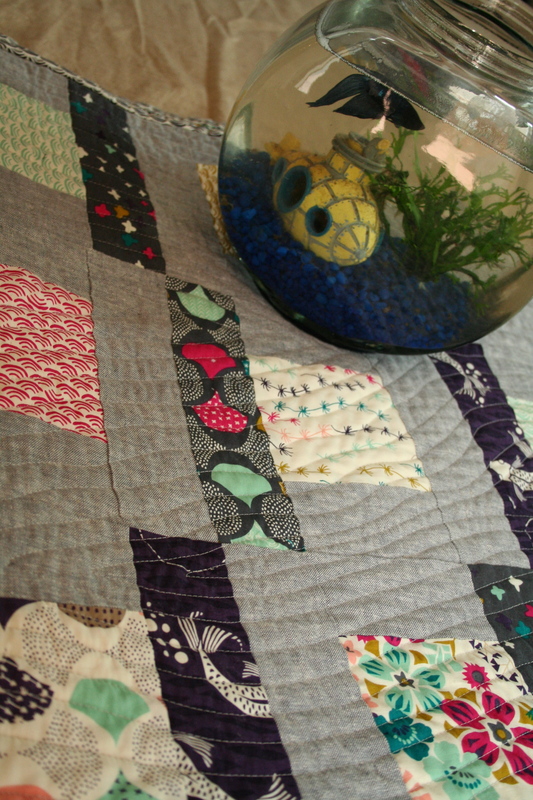 I love the Koi fabrics!